Auction, Treaty or Tender: Which type of sale is right for you? Sale by Auction, Treaty or Tender? Whether it’s sale by auction, treaty or tender, getting a good price for your home means picking the option that works for you. Aussie investigates the pros and cons of each. Selling your home can be stressful, especially if you’re trying to buy at the same time. A quick result could mean you can secure your next property without having to apply for expensive bridging finance. However, a quick result may also leave you with a lingering feeling that you could have secured a higher price. When you’re putting your place on the market, it pays to understand the different ways of selling property so you can be confident you’re making the choice that’s most likely to deliver the results and the timings you want. With auction clearance rates still strong in many areas, selling your home at auction is a popular option. 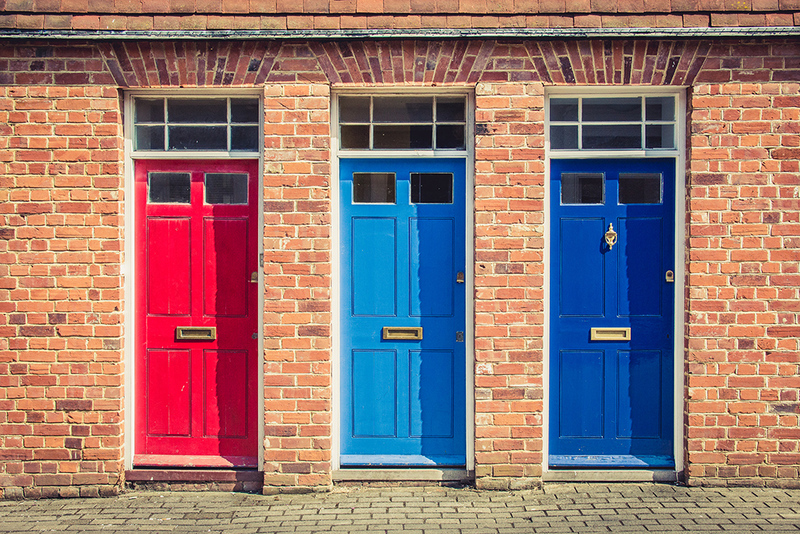 It’s worth considering the pros and cons before the crowds gather at your front door. Setting bidders against one another creates a sense of urgency that can end in a sale on the day, especially in a hot market. As there’s no price cap, the potential final sale price is as high as bidders are willing to go. An auction also gives you the protection of the reserve price, which means if your minimum isn’t met then the property isn’t sold. The sale on the day is usually unconditional so you don’t have to wait for confirmation of finance or other terms to be met before the buyer finalises. There’s typically a set period prior to auction to run a well-planned, sharp and succinct auction campaign that gives you a clear timeframe for advertising, open homes and, ultimately, when your property is likely to be sold. Selling to the highest bidder on the day doesn’t necessarily mean you get the highest possible price. A successful bidder may have been willing to pay even more for your property than the price reached through bidding. Keep in mind that not everyone likes the competitive nature of the auction process so you could lose potential buyers if you decide to go to auction. Additional costs for selling at auction may include an auctioneer, which you will need to pay for whether or not the property sells at auction. The flip side of a well-planned, sharp and succinct advertising campaign is that even though marketing costs are usually fixed, they can be higher than a regular sale. Keep an eye on your local market too. If your property is one of many similar properties in the area with good recent sales evidence then an auction may not be the way to get a good price. While selling at auction may be popular in some markets, most Australian homes are sold through private treaty. This process is when a set sale price is negotiated and agreed with potential buyers, usually with the help of a real estate agent. Unlike an auction where you may feel pressured to make decisions quickly, a private treaty can give you more control over the sale process, including the time to consider offers more carefully. Any offers and the final selling price don’t need to be shared publicly, giving you more privacy and discretion. Without a set sale date, you can keep the property on the market for as long it takes to get the price you want, potentially getting a higher price in the long run. Once again, find out what’s happening in your local area with similar properties. If auction clearance rates are low, then sale by private treaty might be a more suitable option for you. Unless you specify that there’s no cooling off period, a buyer can change their mind and pull out of the purchase before contracts are exchanged. Some buyers can be skeptical of the negotiation process if they think the seller or real estate agent is playing them off against other buyers. You and your agent determine the sale price so it’s in line with the market. Pitch the price too low and you might miss out on cash or pitch it too high and generate little interest. Keep in mind that your real estate agent could be keen to make a quick sale so their turnaround times look good. This could mean you’re missing out on higher offers. Sometimes selling via private treaty can take longer, adding pressure on you if you’re trying to buy at the same time, not to mention the traffic of even more open homes. With a silent auction or ‘tender’ process, bids are confidential so buyers don’t make offers based on what others have already bid. There’s no obligation to accept any of the tendered offers, nor do you have to accept the highest bid if other terms and conditions make a lower bid more appealing. A silent auction is still competitive so you’re more likely to get the ‘highest offer’ bids from buyers who don’t want to miss out on the property. The competition can be higher because offers are encouraged on what a buyer is personally willing and able to pay, and not simply to outbid the next highest bidder as at a public auction. If offers don’t reach your reserve, the passed in price isn’t publically known and therefore less likely to impact the potential for the property to sell for a higher price at a later stage. While confidentiality can encourage more competitive offers, it can lead to lower bids if buyers aren’t willing to take a gamble or don’t know the true market value. It can take longer to sell if offers from the first round of tenders aren’t high enough. Keep in mind that once you’ve accepted a decent offer, the property is sold and you can’t accept a higher offer at a later stage. Which option will work for you? Making the right decision on how to sell your home isn’t always easy. With the choices available, it’s important to understand what’s happening in local markets. Talking to local real estate agents and keep an eye on sales and auction results. Your local Aussie broker can help point you in the right direction and guide you through the choices and financial options when it comes to selling and buying your next home. Picking the time to sell your home. Is it right now? An insider’s look at selling at auction Is your home suited to sale by auction? Auction Clearance Rates – what do they actually show us? What are the pros and cons of engaging a property buyer’s agent?